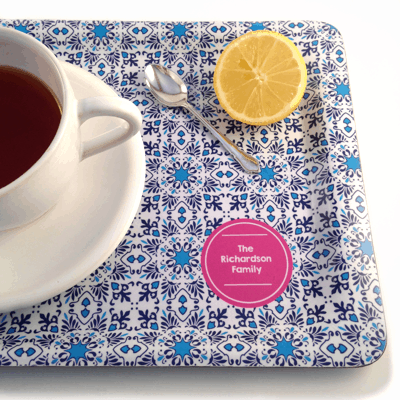 Really sweet tray for all sorts of things – Gran’s cup of tea, Dad’s bits and pieces, or condiments in Kate’s kitchen! Please note trays take 3-4 weeks to manufacture. ORDERS ARE NOW CLOSED FOR THIS PRODUCT FOR PRE-CHRISTMAS DELIVERY. Tray measures 21 cm x 29 cm.